For most people, a home is their most valuable investment and possession. Standard homeowner policies are cost effective and provide solid coverage. Are you getting the coverage you really need? Standard coverage is beneficial, but it is not necessarily the proper coverage for all. Do you have a home based business? How about your grandma’s heirloom diamond ring? Are your prized golf clubs covered? What about your daughter’s computer? Your son recently took up photography, is his expensive camera equipment covered? An endorsement, also known as a “rider”, is an addition to your homeowner policy. It is written to extend coverage beyond the “standard homeowner policy”. To protect your values posessions, you can add a personal property replacement cost endorsement to a homeowner insurance policy. If any of your personal property is damaged or stolen, a standard policy will cover the actual cash value (ACV) of the property, taking into consideration depreciation. Depreciation can severely decrease the value of your asset. Ex: You purchased a couch in 2000 for $1000, how much is it worth today? Maybe $200? The replacement cost endorsement will pay either: repair of the item or replacement of the item, whichever is less, not to exceed the personal property limit on your policy. Ex: Using the above example, if you have replacement cost on your personal property you will be able to buy a couch of “like, kind and quality” as the couch you purchased in 2000, instead of receiving a check for $200 for the depreciated value of the couch. Since we are on Cape Cod, a watercraft endorsement may be a useful addition to a homeowner policy. While a watercraft rider does not cover damage to a boat, it covers personal liability resulting from the use of your boat (less than 26 feet long and 25hp or less for outboard motor). When it starts to get hot and the water warms up, it’s fun to get out on the water. Make sure you, your family, and your friends are adequately covered! 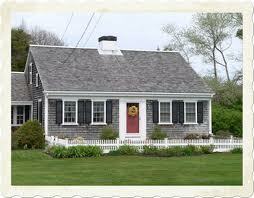 On Cape Cod, wind deductibles are written into a standard homeowner policy. A typical wind deductible is 2% of your dwelling coverage. For example, if your home is covered for $250,000, your wind deductible would be $5,000. What this means to you as the homeowner: if your home experiences damage caused by wind, an insurance company won’t pay out until the $5,000 deductible is reached. This means, it’s not worth putting in a claim for less than $5,000. It also means, because you live on Cape Cod, you’re better off increasing your standard deductible to at least $5,000, because the chances of you having damage to your home caused by wind. Remember, check with your insurance agent for specific issues on your own policies. Feel free to contact us if you have any questions. Like us on Facebook and follow us on Twitter for all the Tweets and blog posts you can handle!